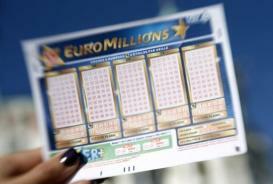 Lottery officials frequently remind players that it is of critical importance to keep the tickets in a safe yet accessible place, to make sure they never lose them. With so many players failing to claim their prizes due to negligence, it makes perfect sense for lottery representatives to issue this reminder over and over again. Ricardo Cerezo of Geneva was on the verge of having his name on the list of unfortunate players who missed out on a once-in-a-lifetime opportunity. 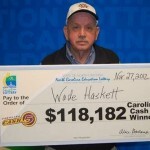 Fortunately for him he found the winning lottery ticket in a jar and cashed in at almost $5 million in a critical moment in his life. Those who purchase a lottery ticket are instinctively thinking about how their lives would change if they were to win the main prize. 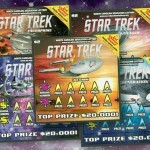 Given the fact that the jackpots usually count in millions, it goes without saying that these prizes are life-changing amounts of money. 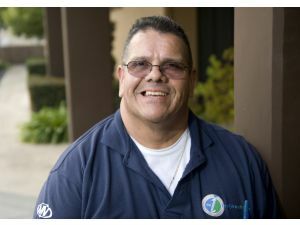 For Ricardo Cerezo winning the lottery was truly a tipping point in his life, as he was facing eviction and had no way of paying off his home. 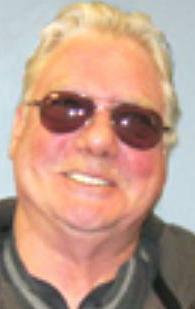 Without being a fanatic lottery player, he used to buy lottery tickets every now and then and kept them in a cookie jar for safekeeping, but eventually forgot about them and failed to check the numbers. During these trying times, his attention was diverted to more pressing issues, which explains why the cookie jar eventually got full of lottery tickets. 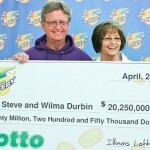 The management consultant was urged by his wife to either check out all the tickets in the jar or throw them away. 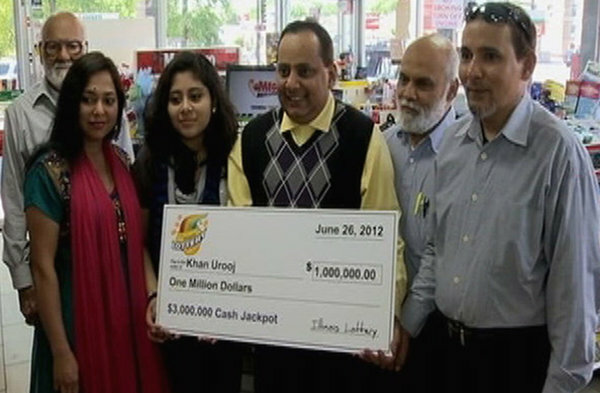 Luckily for him, the incentive led him to a -Eleven in Aurora to check each and every of them and the 10th lottery ticket proved to be the winning one. When the shop assistant told him that he had to file a claim for that lottery ticket, he realized that the very least he could have won was $600. 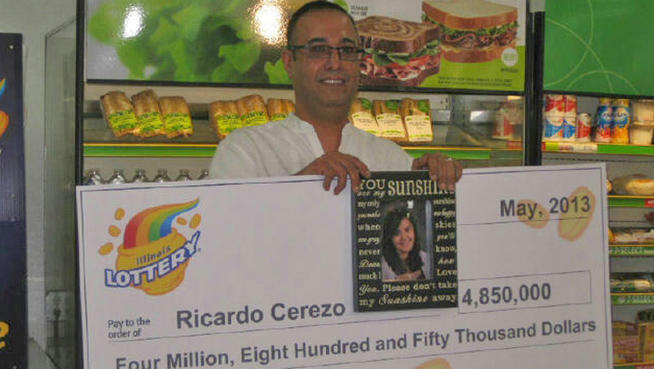 It was great news for Ricardo but things suddenly turned from good to much better when he realized that he had matched all the six winning numbers. 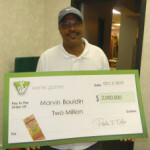 He called in sick the very next day and drove all the way to Chicago to have a lottery official confirm his good fortune. Those thirty minutes spent in a queue proved to be the longest in his life, but the wait was well worth it as he was declared winner immediately after. 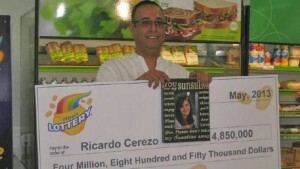 Mr. Cerezo cashed in his lottery ticket and got $4.85 million, more than enough to pay off his house and avoid eviction. Now that all financial worried are behind him and the danger of eviction is nothing more than a distant memory, Ricardo and his wife can finally relax and enjoy the good life. 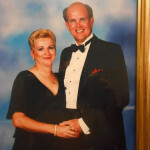 Check out the Albertan wins Lotto 649 jackpot after heeding wife’s advice as well.